Original Quilt Designs by Lollipops Quilt Shop! Loggerhead Sea Turtles are a unique species that lay their eggs in the sand all around Florida, Georgia and South Carolina in the summer time. 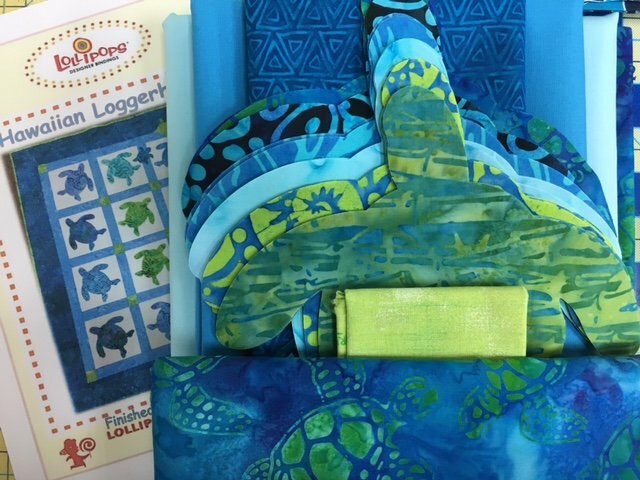 Her love of these turtles, and their threatened status, was the basis for Laurie Malm's creation of quilts that raise awareness of the plight of these creatures, as well as decorate your home with a beautiful quilt! If you have visited us and missed getting your kit, here they are. 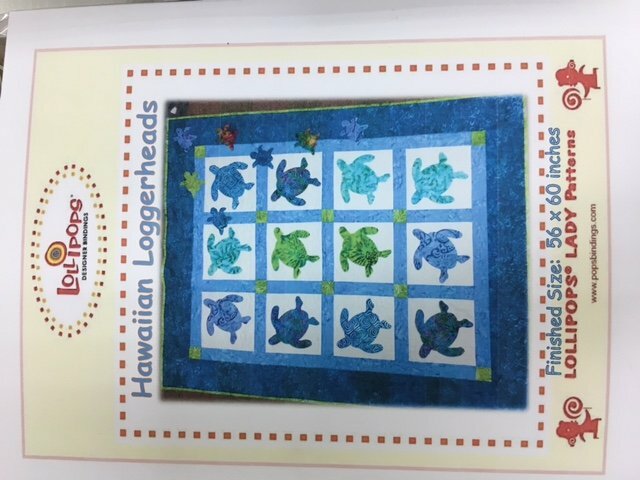 These can be custom made for anyone, but we always have a supply of ready to sell kits in Tropical fabrics mixed with batiks for the turtles so you can easily machine applique the designs to the block backgrounds. Only at Lollipops Quilt Shop in Fernandina Beach, FL and now on the web!